Get out your floppy hats and your seersucker suits! 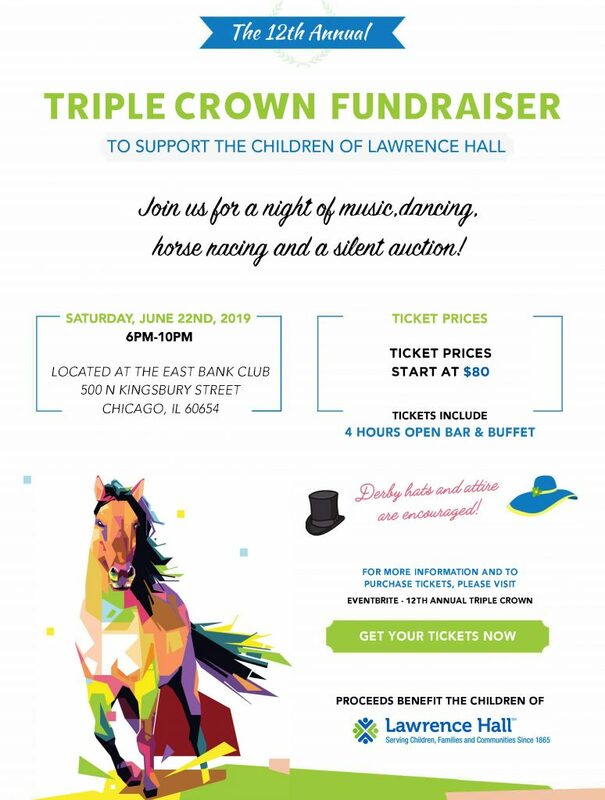 It’s time to start prepping your outfits and buying your tickets for the Lawrence Hall Associate Board’s 12th Annual Triple Crown! 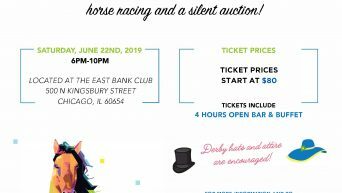 Silent Auction & Raffle w/ Awesome Prizes! The Triple Crown is a horse racing extravaganza in celebration of the Associate Board’s ongoing service to Lawrence Hall. Your support is instrumental in ensuring that we have the resources needed to continue to provide monthly activities using our skills, talents, and experiences to expose the youth of Lawrence Hall to new and unique opportunities. Lawrence Hall has been serving Chicago’s most at-risk youth and their families for 150 years by providing housing, education and treatment to those who need it most. Please join us for a night at the races with plenty of fun, food, cocktails and dancing to last the night! All proceeds benefit the children of Lawrence Hall. A limited number of tickets are available at each tier, so buy your tickets soon! Sponsorships are available, please email sparling.amylynn@gmail.com for details.